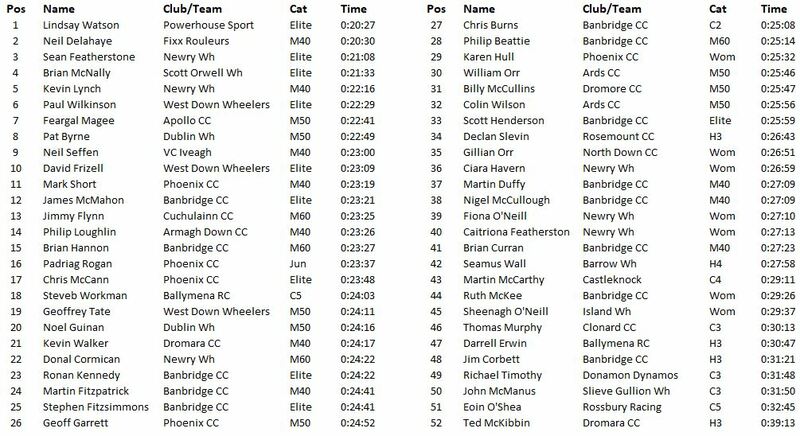 Banbridge CC promoted the Thomas White memorial TT on Sunday 2nd September on the Newry-Warrenpoint 10 miles course. This event also incorporated a round of the Invacare national paracycling league. Results below.